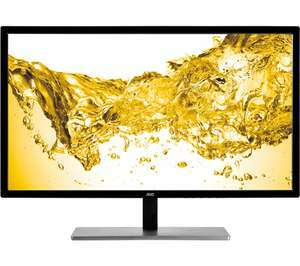 Decent price for this 4K monitor. Get a more beautiful view on your games and entertainment with the AOC U2879Vf 28" LED Monitor. This 4k Ultra HD display delivers up to four times the resolution of HD for outstanding detail, colour and contrast reproduction. Maybe at £150 I would be interested. Too rich for my blood.